The starfruit is one of those strange and unique products that come from the east of Asia, with its funny shape and curious flavours, which you can love or hate, it is beggining to appear broadly in the European and North American markets. It can be used to decorate a dessert or to make a salad a new experience of flavours. In addition it is increadibly widely used in traditional medicine and can decorate your garden or help you to take the rust off!! 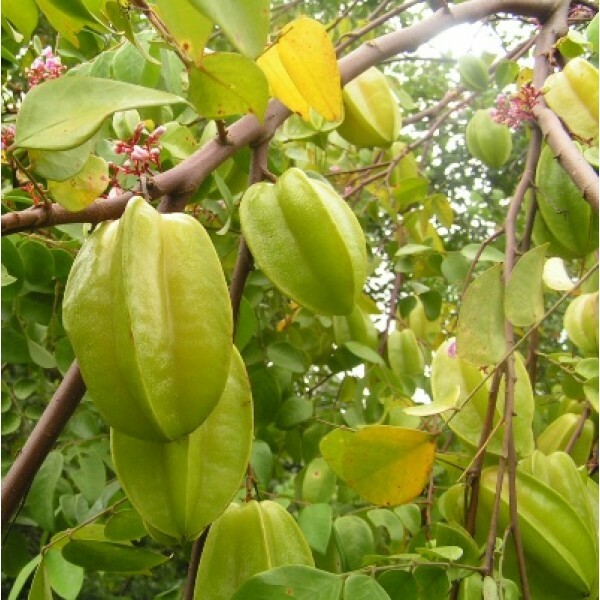 In this post I am going to explain different aspects about the starfruit, although I am going to try to explain it in an understandable way for everybody, a little bit of botanical knowledge will be very helpful. Its common name comes from the five prominent ridges of its fruits, which produce a star-like shape when you cut it transversely (see fig 1 & 2). That is also the reason for their usage in salads or desserts as a decoration and also as a fresh ingredient with a slightly sour taste.